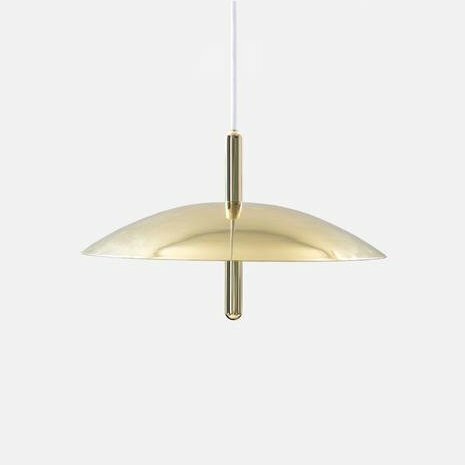 Since launching its debut collection in 2013, Souda has been making a name for itself as a ineffable force in the contemporary design world, by steadily introducing new products designed by a growing, global cohort of cutting-edge designers. 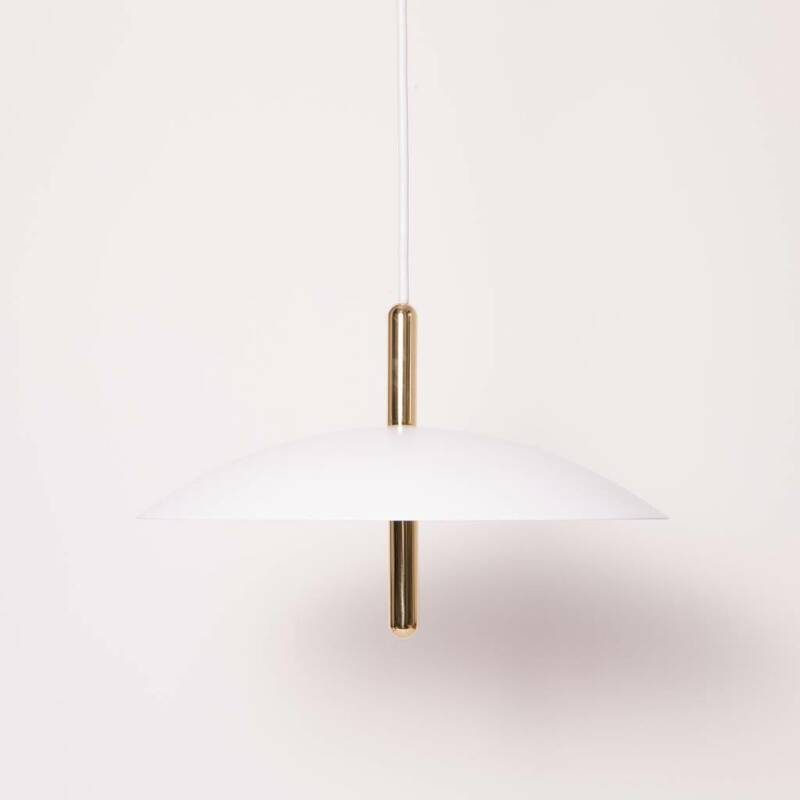 Housed in a Brooklyn studio that was formerly a nightclub, the location is fitting for a brand ready to shake things up with designs that fluently combine sophistication and play. 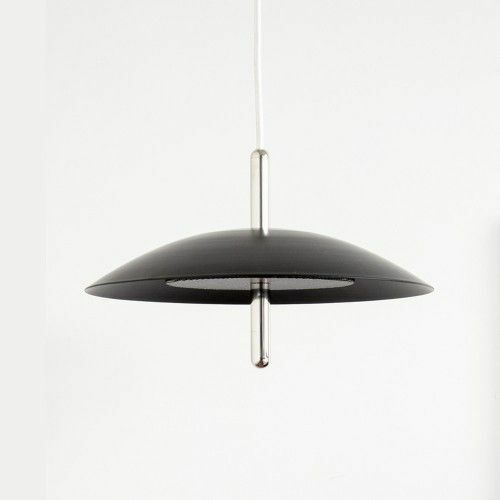 The Signal Pendant from Souda is the minimalist's choice for pendant lighting. 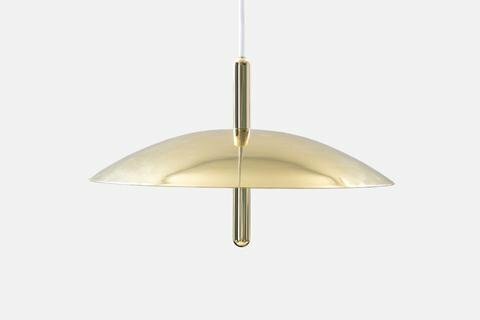 The spun metal shade gives off a warm, indirect glow of LED light which contrasts beautifully with the brass stem. 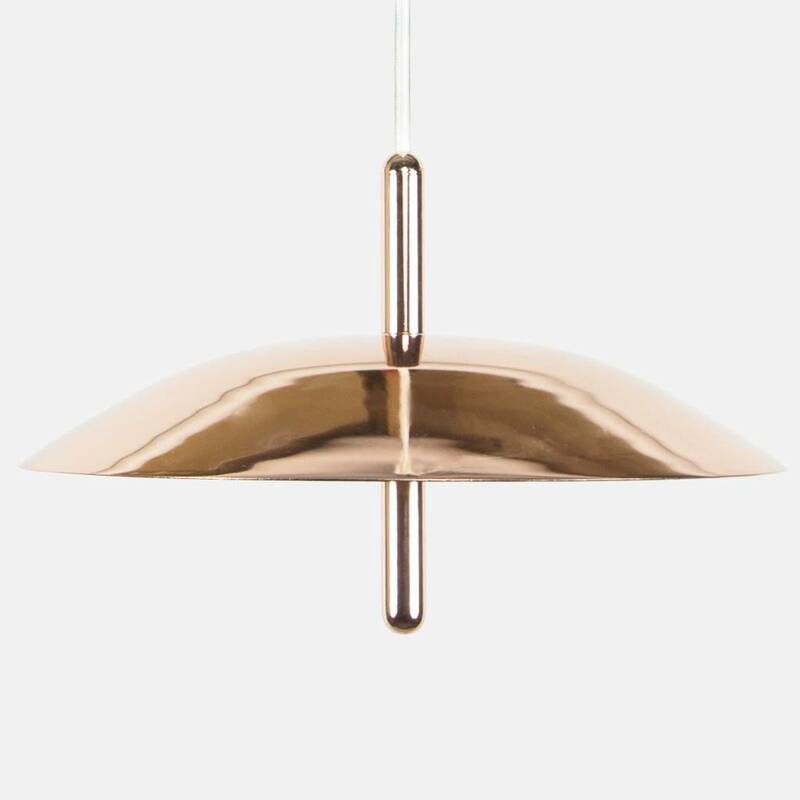 W 13" x L13" x H 8"
Brass and Copper generally incurs a 4-6 week lead time. White and Black generally incurs a 2-6 week lead time.